to see our latest adventures! Follow Our Facebook Posts Here! Lighthouse Dragons SOS shared a post. Lighthouse Dragons SOS is with Diane Wolfort and 3 others. What a perfect day for you Dragons!! I know you had fun! Lighthouse Dragons SOS is with Peggy Horvath and 2 others. We are having a great time at the Wild and Scenic Film Festival at the Jupiter Inlet Lighthouse! Lighthouse Dragons SOS is at RASO Education Center. Captain Debbie is having way too much fun! Lighthouse Dragons SOS added 41 new photos — with Shelley Polk and 10 others at Riverbend Park. OMG, 1st, 2nd and 3rd - it’s a hat trick!! Congratulations to you fabulous women!! You ladies look awesome! I had family in town and they arrived yesterday evening and had to wake up early for a long drive back up to White Plains NY. Great morning! Lovely sunrise, well planned race, good friends and a great cause supporting Sari Asher Center for Integrative Cancer Care! Lighthouse Dragons SOS is with Sherri Leber Boyce and 7 others at The New Studio for the Visual Arts. Our very own team mate and steersman, Scott Zednek, will be racing in the Crossing For A Cure, a long-distance endurance paddling challenge 80 miles across the Gulf Stream from the Bahamas back to the Florida mainland on Father's Day, June 15th. The event was created to bring awareness and support for those living with cystic fibrosis through the Pipers Angels Foundation. 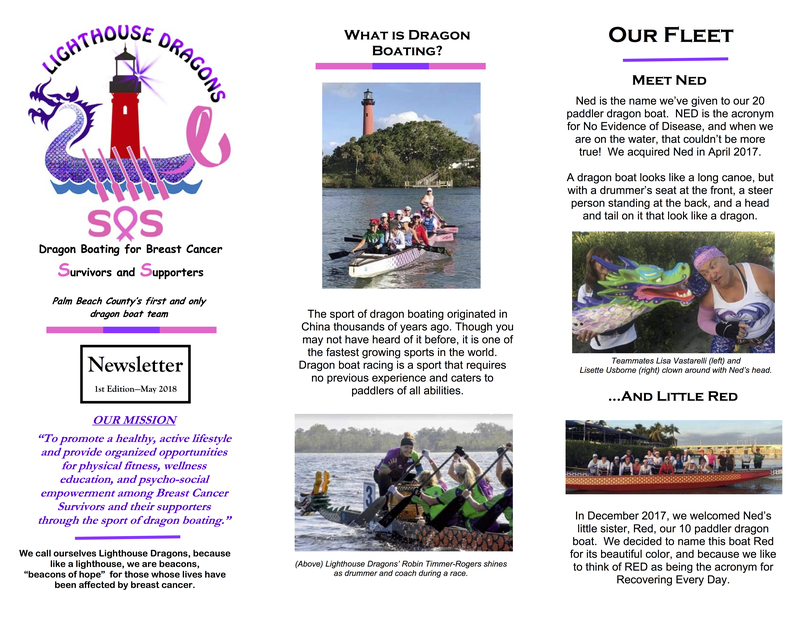 This foundation provides an incredible bonus for paddlers representing charitable organizations whereby Lighthouse Dragons will split the funds donated through this campaign link 50/50 with Pipers Angels. And to really top things off, all funds donated to this effort will be matched by Scott's environmental engineering firm, Tierra Consulting Group. Won't you help support Scott as he paddles across the Gulfstream on his Stand Up Paddleboard, and you will be donating to two great charities! Lighthouse Dragons SOS is asking for donations. Many of our beautiful breast cancer survivors will be featured in this exhibit of healing and survivorship. And with your $150+ donation, the breast cancer survivor of your choice the opportunity to take their artwork home at the end of the month long exhibition. Lighthouse Dragons SOS is with Peggy Horvath and 6 others. Lighthouse Dragons SOS is with Cynthia Denise and Betsy Stanfill Burden. Looks MAGICAL! What a beautiful evening!!! Gorgeous photos! I cant wait until I can come during the week! Lighthouse Dragons SOS is with Lezlie Biro and 4 others. It was one of the best evening paddles yet this year! Great crew, spectacular sunset, lots of laughs, interesting scenery and a great workout! You did a great job steering RED, Reina! Tax time is right around the corner and you can help Lighthouse Dragons raise money by getting your taxes prepared by H&R Block or Block Advisors. If you are a new client, we will get a $20 contribution when you use the referral card below and present it at your appointment. Thank you for supporting Lighthouse Dragons! www.hrblockreferrals.com/Non…/KitFlyer/40010001099922Tax time is right around the corner and you can help Lighthouse Dragons raise money by getting your taxes prepared by H&R Block or Block Advisors. If you are a new client, we will get a $20 contribution when you use the referral card below and present it at your appointment. Lighthouse Dragons SOS added 14 new photos. Lighthouse Dragons SOS is with Karen Lacey Crea and 3 others. Any exercise or physical activity that gets the heart rate up and the blood flowing will release endorphins and raise your energy level. Walking 20 minutes per day is a great place to start. Add a little resistance training to your walking routine and you’ll have the added benefit of improved strength and balance, and you’ll be well on your way to boundless energy! How Does Exercise Help Fatigue After Cancer? Exercise is well documented in the medical research to be one of the best “treatments” for cancer survivor fatigue. But how does physical exertion actually give you more energy? Here are a few reasons exercise has this miraculous effect. 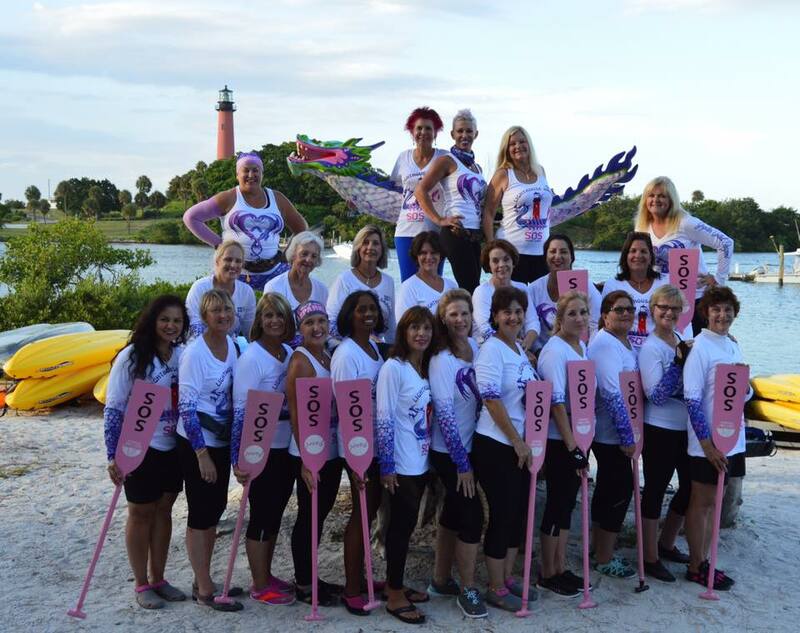 Sherri Leber Boyce will you guys compete in the ORLANDO INTERNATIONAL DRAGON BOAT FESTIVAL October 19, 2019 ? Fun day on the dragon boat! Good to get back to it! Lighthouse Dragons SOS is with Peggy Horvath and 11 others in Admiral's Cove, Jupiter. Miss you already! Back home in Annapolis with indoor paddling practice is just not the same. Hope to join you all again next winter. Thank you for allowing me to join with your beautiful team last month. It was a highlight of my trip. These gorgeous evening paddles are so healing and empowering. The beautiful sunsets are just a bonus! Can’t wait for the time to change so I can get out there again. Lighthouse Dragons SOS added 5 new photos. Lighthouse Dragons SOS added 20 new photos. Lighthouse Dragons SOS is feeling relaxed with Shelley Polk and Kelly Seitz. Lighthouse Dragons SOS added 7 new photos. Lighthouse Dragons SOS added 69 new photos. Our Introduction to Dragon Boating session today was a huge success. Consider joining us for our next session on March 23rd. I had a wonderful time today! Wonderful group of people! Please cast your vote for your home team, Lighthouse Dragons!! !Marine Industries Association of Palm Beach County is donating $500.00 from the 2019 Palm Beach Paddlefest raffle proceeds to one (1) non-profit organization tagged below. The organization with the most votes will receive a check from #MIAPBC. So fun! Great way to start the day. Our ladies went out for what they thought would be a lovely evening paddle. Lighthouse Dragons SOS is with Betsy Stanfill Burden. Thank you so much ladies. I had such a blast! I am definitely going to make this a habit! Lighthouse Dragons SOS is attending an event at Harbourside Place. Come visit us Palm Beach Paddlefest from 9am today! Congratulations to our very own team mate, Scott Zednik, for finishing second place in his division!!! 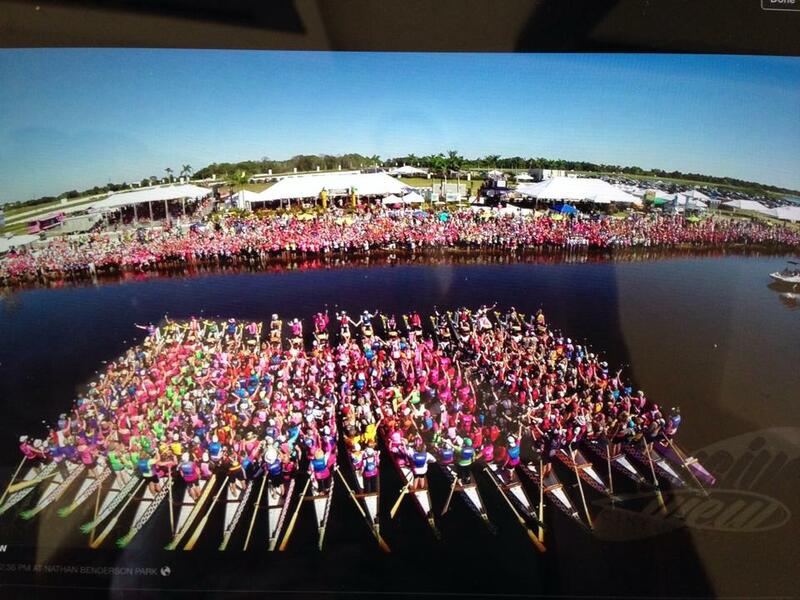 Great event, the paddling community in this area is so special. We met so many old friends and new, on and off the water. Could have asked for better Florida weather. Lighthouse Dragons SOS added 12 new photos. Our very own team mate, Scott Zednek, will be racing in the Crossing For A Cure, a long-distance endurance paddling challenge 80 miles across the Gulf Stream from the Bahamas back to the Florida mainland on Father's Day, June 15th. 12 more months of paddling in paradise. Lighthouse Dragons got a great work out on and off the boat today. So awesome to be together again after a longer than planned hiatus. Discussed an exciting preview of the year ahead as we grow and expand our team’s talents, techniques, passion and commitment. It was great to be back on the water today as the sun peeked out and showed it self to us, filling the boat with bright smiles! It is clear we have a special energy on and off the boat and it radiates from every team member! Lighthouse Dragons SOS added 36 new photos. REFERRAL CODE #40010001099922Tax time is right around the corner and you can help Lighthouse Dragons raise money by getting your taxes prepared by H&R Block or Block Advisors. If you are a new client, we will get a $20 contribution when you use the referral card below and present it at your appointment. Great Idea! I know we can all use a little tax help at this time of year. Lighthouse Dragons SOS shared a photo. "Most people experience insomnia at some time in their lives, but the risk increases with cancer." Lighthouse Dragons SOS is attending an event with Peggy Horvath and 4 others at Jupiter Medical Center. We are so glad that you enjoyed the event! We all need to go for more walks! Lighthouse Dragons SOS shared a memory. Look for us this Saturday, January 26 in Downtown West Palm Beach for the 2019 Susan G. Komen Florida Race for the Cure. 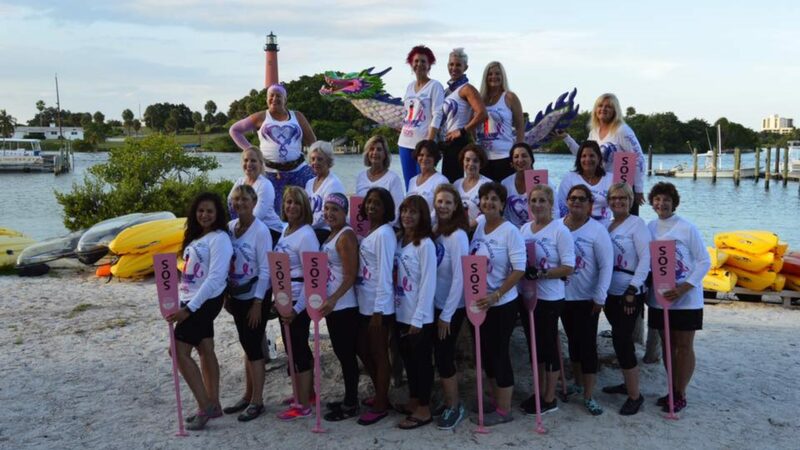 Lighthouse Dragons will be honoring our very own 2019 Warriors in Pink, Kelly Seitz and Pat Thasan, and together we will celebrate our survivorship, while together we race to find an end to Breast Cancer. Lighthouse Dragons SOS added 22 new photos — at Meyer Ampitheater. Congratulations to our very own Kelly Seitz and Pat Maher for being honored as our 2019 Warriors in Pink! Such an honor! Congratulations Kelly and Pat! Way to go, Kelly Seitz and Pat Thasan! Love you girls! Lighthouse Dragons SOS added 24 new photos. While this simple tool is often overlooked as being a vital part of the healing process, any serious illness, injury or surgery reminds us that a body needs time to recover and rest. Rest is an important part of the healing process for those affected by cancer. Happy New Year wishes from our dear friend from the other side of the world where it is already 2019! 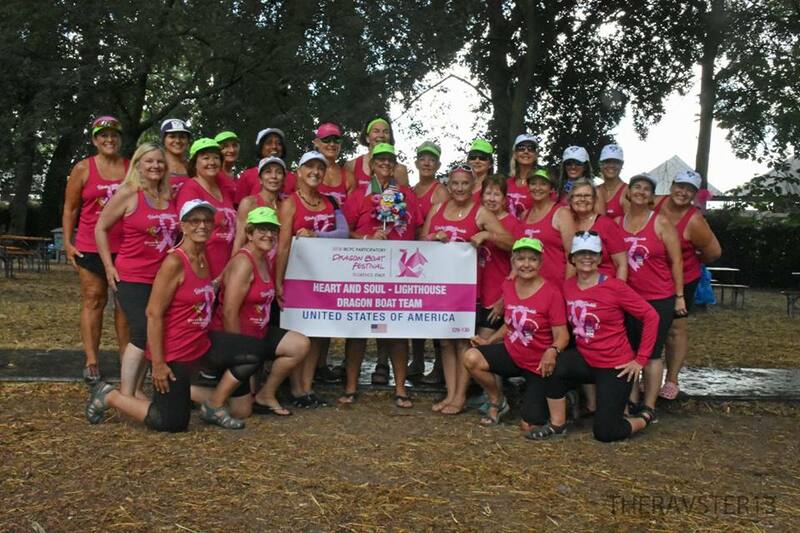 When you are part of a group that revolves around breast cancer, every year will be filled with highs and lows, revolving around the disease that brought us together. But together, we bring each other up, hold each other's hands and know that we are not alone. As we say goodbye to 2018, let us not forget the women we have lost this past year to breast cancer, support the ones that are still fighting and celebrate each other as survivors and supporters! New Years can be wonderful, exciting and full of hope. A time to set new goals and make resolutions and achieve dreams. To put bad times behind you and move forward with anticipation of better times ahead. For many they can also be full of uncertainty and fear. There are many steps on the cancer ladder and depending where you are currently standing, your prognosis or time since diagnosis, dictates what you may be feeling- Happy highs or down low -lows..
As the skies darken, gaze at the fireworks as the clock ticks midnight. That is how life is to be lived. Be dazzling, be spectacular and be brilliant! Let’s all blow our whistles make some noise and take 2019 with a bang- even when the fur is flying! Wishing all our friends and family Very Happy Holidays and a Healthy New Year from Lighthouse Dragons of Jupiter, FL. 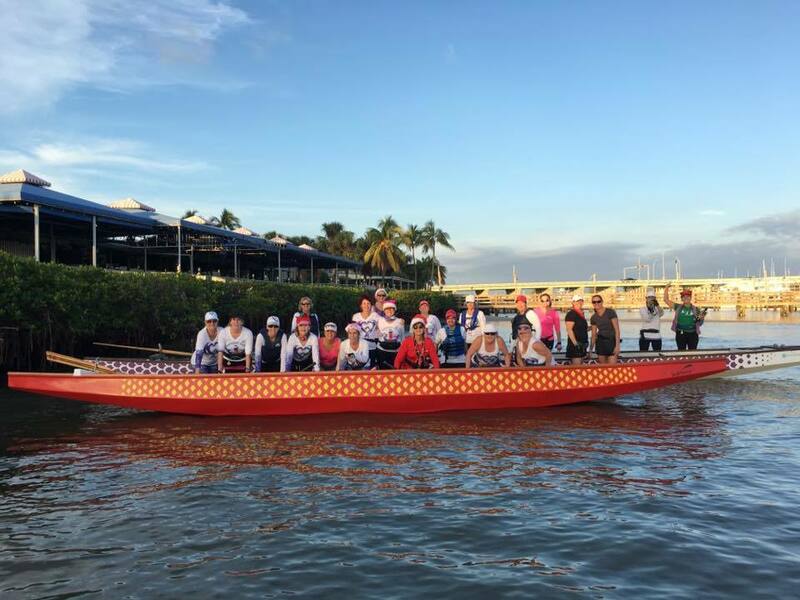 The greatest gift we can give ourselves this holiday season is taking care of our health and wellness, spending time with our friends and families and reflect and appreciate all of our experiences, especially our beloved sport of Dragon Boating! From across the globe in Australia, our sister in dragon boating Pinkoala brings us this holiday artwork to share. A lovely heartfelt message!!! Happy holidays and merry Christmas to my lighthouse dragons! Lighthouse Dragons SOS added 15 new photos. Spectacular!Tonight's Fullmoon over Jupiter Inlet Lighthouse & Museum. Wishing everyone a great Christmas for 2018! Love this Tribe that inspires me to grow every time we are together ! Paddles Up ! What a fabulous experience, we learned so much and had a great weekend together! So sorry I could not be there. Looks amazing. A fabulous day, who knew camp could be so much fun at our age! Even the rain didn't dampen our spirits. Thank you John and Linda for a spectacular day on the water and looking forward to doing it again tomorrow! Awesome day, rain showers and all! What a team!! Our heartfelt thank you to our Survivor Sponsor!